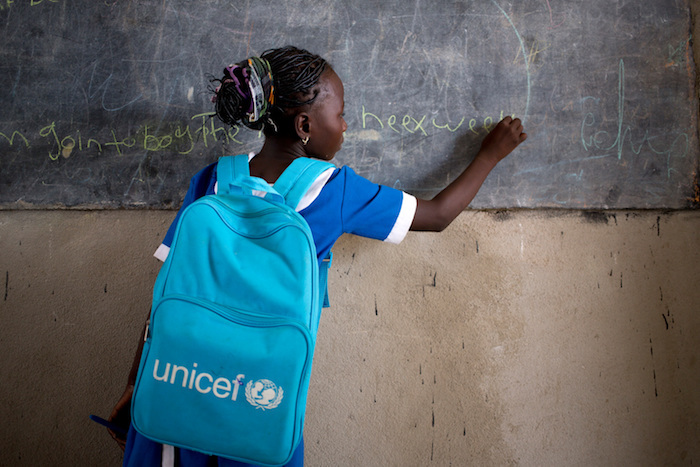 Education is a keystone of UNICEF's global work. Learning breaks the cycle of poverty, transforms lives and leads the way to a better future — for individuals, communities and countries. When children have been forced out of school by war, poverty or natural disaster, UNICEF's emergency education programs provide safe spaces and educational materials so they can get back to learning. With more than 700 education experts working in 155 countries, UNICEF helps bring opportunity to the children who need it most. Thanks in part to UNICEF's efforts, 100 million more children are attending school today than a decade ago. Hundreds of thousands of classrooms are better equipped. Tens of thousands of teachers are better trained. UNICEF is also working to close the gender gap in education by empowering girls and promoting more equitable access to secondary school in 60 countries. Despite these gains, an astonishing number of children and adolescents — 264 million worldwide — are out of school, missing out on the education they need to reach their full potential. So the hard work continues. UNICEF's commitment to education in emergencies is truly global. Over the past three years, UNICEF provided educational materials to almost 47 million children — many driven from their homes by conflict and crisis. For example, in 2017, in Bangladesh, UNICEF helped restore learning centers damaged during Cyclone Mora. UNICEF also trained teachers in Bangladesh and provided learning opportunities to children living in makeshift settlements. 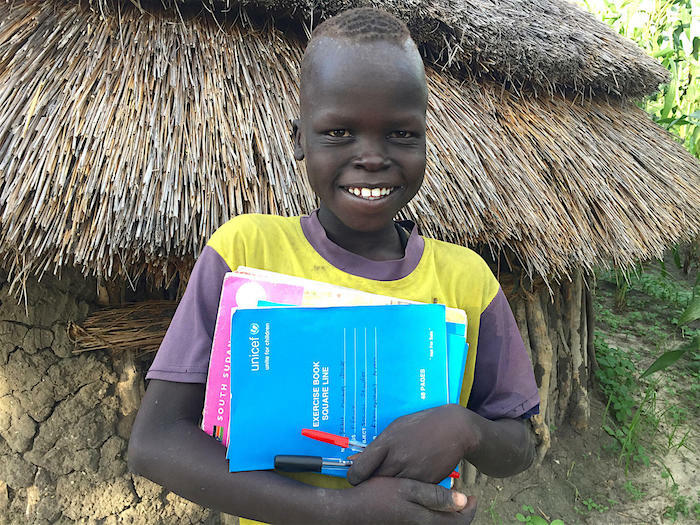 During the ongoing civil war in South Sudan, many schools closed and teachers fled — along with nearly 3 million other people. Education was an integral part of UNICEF's response. Returning children to the classroom helps restore hope and normalcy for traumatized children. In Turkey, UNICEF worked to provide education to thousands of Syrian children staying in refugee camps and in local communities. UNICEF also worked with the Turkish government to strengthen educational systems and improve the quality of education for all vulnerable children. And in Iraq, where multiple overlapping humanitarian crises have devastated the country's school system, UNICEF reached hundreds of thousands of girls with educational supplies, helped rehabilitate hundreds of schools and provided temporary spaces where more than 30,000 students could continue their learning. For Rawia, an 11-year-old student at a UNICEF-supported school in West Mosul, Iraq, education is a way to break the cycle of violence that has enveloped her country. "With this education, I want to become a surgeon," she says with a smile, "so that I can heal people who lost limbs in the fighting, the ones who were wounded, so they can get better." Even in countries without conflict or crises, UNICEF fosters equal access to education for boys and girls. In South Africa, UNICEF's Techo Girls program promotes participation in science, technology, engineering and math. Girls are selected from under-resourced communities on the basis of academic merit. One Techno Girls member, Nomonde, has three favorite subjects — math, English and physics — and a keen interest in problem-solving. She is always curious about how the world works. "That's why I chose industrial engineering," she explains. Nomonde's mother, Phumzile, hopes her daughter will pursue her dream of becoming an industrial engineer, even though it has been a traditionally male-dominated career. "I have told Nomonde to do well in school and stick to Techno Girls, as it can open many doors for her," she says. Defenders of the neglected and exploited around the world, international human rights lawyer Amal Clooney and her husband, actor and human rights activist George Clooney, are stepping up to make sure all the world's children get the opportunities they deserve. The couple's Clooney Foundation for Justice announced a $2.25 million partnership with UNICEF, which includes a generous donation from Google.org and an additional $1 million technology grant from HP Inc. 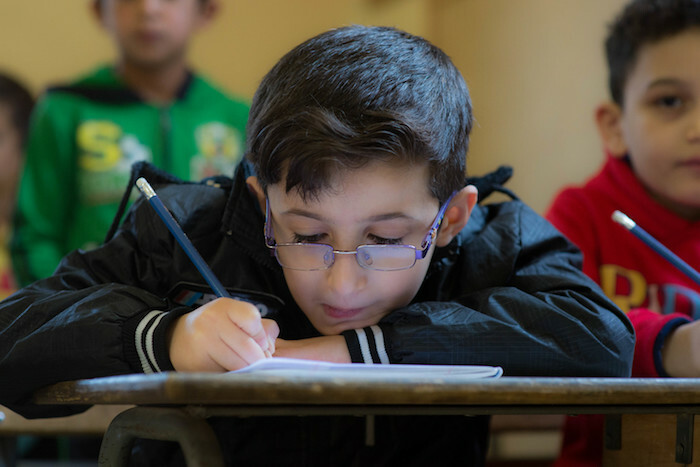 The partnership will fund seven schools in Lebanon to help 3,000 currently out-of-school Syrian refugee children get back on track. "Thousands of young Syrian refugees are at risk — the risk of never being a productive part of society," Amal and George Clooney said. "Formal education can change that. That's our goal with this initiative. We don't want to lose an entire generation because they had the bad luck of being born in the wrong place at the wrong time." The devastating six-year Syrian civil war has affected 80 percent of the country's children. More than 5 million Syrian refugees have fled to neighboring countries. Lebanon, which has the world's highest per capita refugee population, has been particularly overwhelmed by an influx of more than 1 million Syrians. Schools are overflowing and students must attend in double shifts. "How can children become the workers and leaders of their countries someday if they have not had the education and support they need to reach their full potential?" asked UNICEF Executive Director Anthony Lake. 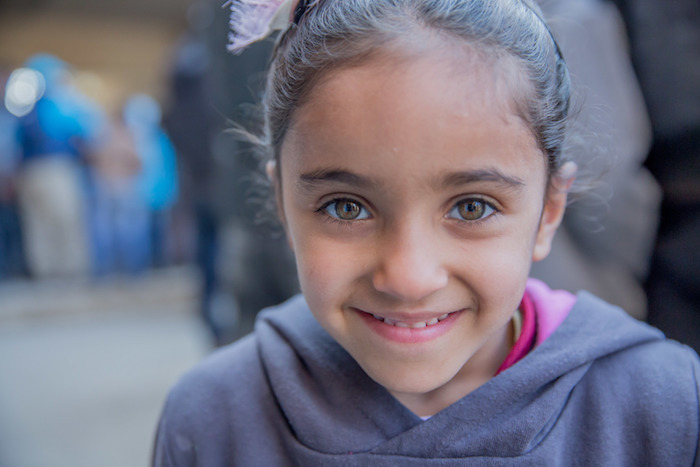 "By supporting the work of UNICEF and our partners to deliver education to every child affected by the conflict in Syria, the Clooney Foundation for Justice is not only investing in the futures of individual children. It is investing in the future of the entire region. UNICEF is deeply grateful for this critical funding."